Iain McCurdy is a composer of electroacoustic music and sound art originally from Belfast and currently lecturing in music at Maynooth University in Ireland. Having come from a background of writing for fixed medium, more recent work has also covered sound installation, exploring physical metaphors of compositional structures through the creative use of electronic sensors and innovative human interface design. Physical designs are minimalistic, using primary shapes and colours and utilising instinctive user inputs. 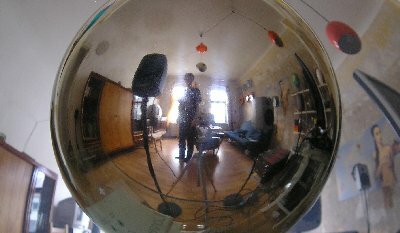 On the website you will find audio samples of my compositions, videos of some of my hardware inventions, a catalogue of real-time Csound examples, tutorials on building and hacking and a library of source samples that I have recorded.